Jabari seresht, R., Jahanshahi, M., Morad Rashidi, A., Asghar Ghoreyshi, A. (2013). Synthesis and Characterization of Thermally-Reduced Graphene. 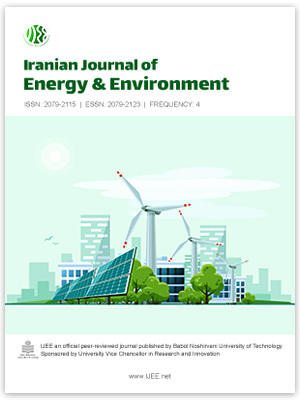 Iranian Journal of Energy and Environment; previously called: Iranica Journal of Energy & Environment, 4(1), -. Razieh Jabari seresht; Mohsen Jahanshahi; Ali Morad Rashidi; Ali Asghar Ghoreyshi. "Synthesis and Characterization of Thermally-Reduced Graphene". Iranian Journal of Energy and Environment; previously called: Iranica Journal of Energy & Environment, 4, 1, 2013, -. Jabari seresht, R., Jahanshahi, M., Morad Rashidi, A., Asghar Ghoreyshi, A. (2013). 'Synthesis and Characterization of Thermally-Reduced Graphene', Iranian Journal of Energy and Environment; previously called: Iranica Journal of Energy & Environment, 4(1), pp. -. Jabari seresht, R., Jahanshahi, M., Morad Rashidi, A., Asghar Ghoreyshi, A. Synthesis and Characterization of Thermally-Reduced Graphene. Iranian Journal of Energy and Environment; previously called: Iranica Journal of Energy & Environment, 2013; 4(1): -.